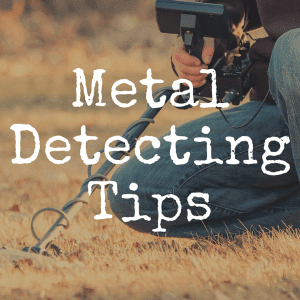 Bounty Hunter makes many awesome metal detectors, and if you want to purchase one, you should plan to examine several of their models. The Bounty Hunter SS2 (Sharp Shooter II) is one that is very reasonably priced and has many features that both newbies at hunting and those who have been hunting for years would want in a metal detector. 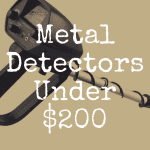 This Bounty Hunter metal detector has wonderful features and comes with a price tag of about $150 on sale ($350 regular price). The one negative thing about these features is the weight of the machine. It is definitely not a lightweight detector, and after several hours of hunting, you may regret choosing a detector that weighs this much (four and a half pounds). If you are a newbie, you may be surprised at how fast virtually five pounds becomes a bane to carry. In comparison, another Bounty Hunter – the Quick Draw II – weighs less than 4 pounds and it may be easier to handle. 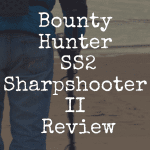 The Bounty Hunter Sharp Shooter II can be used anywhere you want to search. It is waterproof, so you can search small streams and along the beach without worrying about water ruining your metal detector. You can hunt in woods or open areas and find any type of metal you want, including gold, relics and coins. Unlike the Bounty Hunter Quick Draw II, the Sharp Shooter II will find treasures on beach areas. It will search through the salt water areas, but it will not search as deep or as well. The Quick Draw II cannot be used on the beach or even where sand from the beach has been piled, such as on playgrounds. For a wider variety of search areas, the Sharp Shooter II is the better choice. Many are partial to the Sharp Shooter II for its ability to find coins easily. Coins can be found up to 9” deep. The three tone audio feedback also allows you to quickly zero in on the coins you have discovered. The target ID is very accurate at showing what you have found so you can decide whether you want to dig up the coin or not. The visual target ID has nine different segments and it is simple to see what you have found. With the four operating modes, you can easily choose what you want to find and can even set the detector to reject iron so you do not get a tone for every nail you scan across. This detector is so easy to use you will be searching your backyard within a few minutes of taking it out of the box. Because it is so easy, this is a great detector for newbies or children. The truth is that children lose interest quickly if they aren’t finding any treasures, but with the Sharp Shooter II, you will likely be digging for objects soon after you begin to scan. A few of the features, such as the different modes, may take a little while to learn to use effectively. The best way to learn is to take the machine out and explore the settings. You can also watch the online tutorials for anything you do not understand. 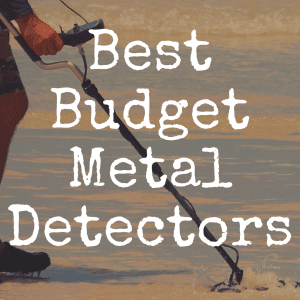 The huge LCD display is a great feature of this metal detector. It has two dials to set your discrimination and sensitivity levels and push buttons to set the mode you want. The writing is large enough to read easily and the digital display is simple to understand. The headphone jack is on the front of the display so it is convenient for any user. Remember, if you use headphones, you will be saving the batteries in your detector because you are not using the built in speakers. The Sharp Shooter 2 was built for the comfort of the user. It has an adjustable arm strap to help bear some of the weight and the rod is bent to make swinging it even easier. The rod is not adjustable, though, so it may be too long for some people to use comfortably. To be sure it will fit you, the best thing to do is visit a store and pick up the machine. You will know quickly if it is too long or too heavy for your size. The Bounty Hunter Quick Draw II is not nearly as comfortable as it does not have the arm strap. If relics are what you want to find, the Sharp Shooter II can do that, too. While it can spot coins to up to 9” deep, for larger relics, you can find objects that are up to 4’ deep. The depth ability of this detector is amazing and is one reason so many people choose to start their hunting habit with this detector. Relics are often buried a little deeper and can easily be found with this detector. While digging for the large object you have found, you may even dig up smaller treasures, such as coins or jewelry. If you are one who wants to read the instruction manual for everything you purchase, you may be a little disappointed in the manual with the Sharp Shooter II. The manual is not as user friendly as many people like. Many choose to watch the videos online instead in order to best understand how to operate the machine. The SS2 can also be used to search for all types of metal accurately and in many different areas. Remember that this is not a detector that you can use for diving searches, but the coil is waterproof. 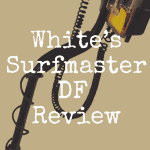 If you want to dive, you would be better off with one of the other detectors that Bounty Hunter offers. The Sharp Shooter II is a great detector for anyone that is just beginning or who has been hunting for years. The price is one that anyone can afford and the company is one that can be trusted to stand behind their product. Most often, it is that company’s name that draws people to try their devices. And the price of this detector is also something that makes people stop and take a longer look at the features and great reviews that come from hunters who use the machine often. Please stop by and “like” our brand new Discover Detecting Facebook page! 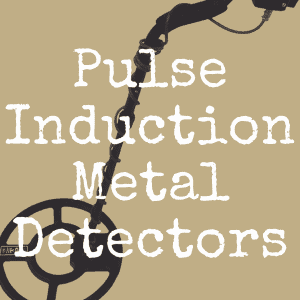 You can also visit our Discover Detecting homepage for more great reviews of detectors and related accessories!